There are 7 names in this directory beginning with the letter O. An affirmation of the truth of a statement. A procedure whereby a party asserts during a trial that a particular witness, line of questioning, piece of evidence, or other matter is improper and should not be continued, and asks the court to rule on its impropriety or illegality. The impeding of those who seek justice in a court, or of those who have duties or powers of administering justice therein; includes attempting to influence, intimidate, or impede any juror, witness, or officer in any court regarding the discharge of his or her duty. Statutes addressing this subject may reach beyond interference with the judicial process and also proscribe interference with police officers and other such administrative officials. 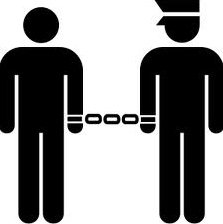 Any violation of law for which a penalty is prescribed, including both felonies and misdemeanors. The reason given for a court's judgment, finding or conclusion, opposed to the decision, which is the judgment itself. When the court is composed of more than one judge or justice, and more than one opinion has been written in a given case, the opinion that expresses the view of he majority of the judges presiding, and thus announces the decision of the court, is referred to as the majority opinion, but written to express the majority of judges presiding, and thus announces the decision of the court, is referred as the majority opinion. A concurring opinion is a view basically in accord with the majority opinion, but written to express a somewhat different perception of the issues, to illuminate a particular judge's reasoning or expound a principle which he or she holds in high esteem. An opinion that concurs "in the result only" is one that rejects the reasoning and conclusions concerning the law or the facts on the basis of which the majority reached its decision, and that expresses a different view that has coincidentally led by the judge or justice to recommend the same disposition as was agreed upon by the majority. A dissenting opinion is a view that disagrees with the disposition made of the case by the court arrived at the decision, or the principles of law announced by the court in deciding the case. Opinions may also be written that express a dissent "in part." A local law that applies to persons and things subject to the local jurisdiction. Usually it is an act of a city council or similar body that has the same force as a statute when it is duly enacted. 1. To overturn or make void of a decision of a prior case, generally accomplished in a different and subsequent case, when a court renders a decision that is substantially opposite of the decision made in a prior case. A decision can be overruled only by the same court or a higher court within the same jurisdiction. 2. To deny a motion, objection or other point raised to the court.